Back in September 2012, a post appeared in non-tech reporting Delphi’s PCRE wrapper to be many, many times slower than Python’s. With sample code attached, the problem was undeniable, though the immediate cause was soon identified: the Delphi wrapper’s failure to include a ‘don’t validate the UTF8’ flag (PCRE was traditionally a UTF-8 based library, so the Delphi wrapper was using UTF8String). Putting everyone’s work together, I posted a QC report. Soon after doing that an even better solution was noted, which was for the wrapper to wrap a newer version of PCRE that supported UTF-16 internally, i.e. Delphi’s native string encoding, and so allow avoiding UTF-8 roundtrips entirely. To be fair to Embarcadero, the second solution might have been considered a bit problematic in practice, given PCRE’s UTF-16 mode was only 6 months old at that point, and using it may have been tricky for OS X. This is because on that platform, the Delphi wrapper uses the system PCRE dylib rather than statically linking equivalent C object files, due to the fact DCCOSX only consumes object files produced by the Windows C++Builder compiler (or at least, only did when I last looked into the matter). On the other hand, the additional flag fix involves adding just a couple of lines… so perhaps it could be implemented fairly quickly? really is what it seems, namely an obscure way of assigning nil that if you step through it, passes through several method calls and IF tests to do the deed. 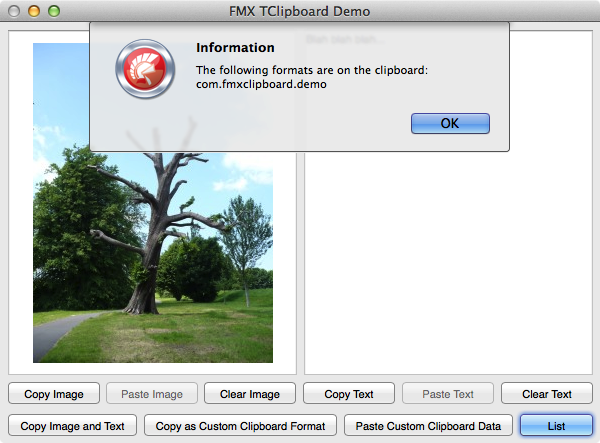 I’ve just checked in a revision of my open source FMX TClipboard implementation that has an iOS backend. 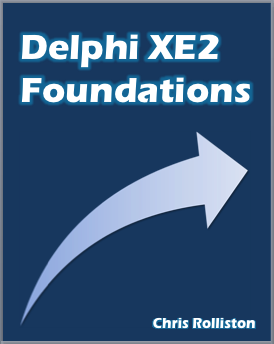 This supports the current rather than the FPC-based version of ‘Delphi for iOS’, however the Windows and OS X backends still compile with XE2 and above. Technically, the iOS clipboard, like the OS X one, can have multiple items, each with multiple representations. Since the multiple-item concept doesn’t exist on Windows (indeed, it didn’t exist on OS X originally either), my class is only concerned with the first item, which is what most applications only bother with anyhow. The core files are now CCR.FMXClipboard.pas, CCR.FMXClipboard.Apple.pas, CCR.FMXClipboard.iOS.pas, CCR.FMXClipboard.Mac.pas and CCR.FMXClipboard.Win.pas, and together they stand alone. 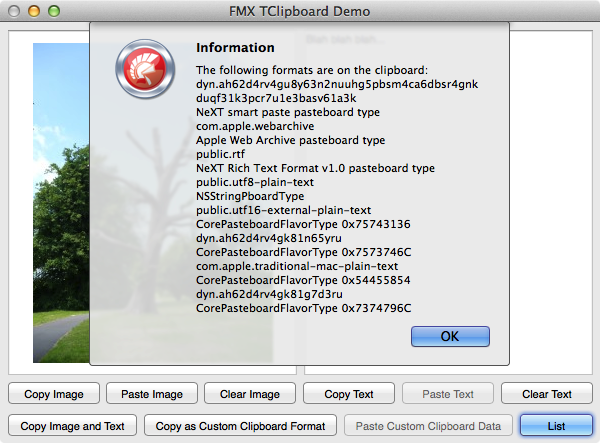 Added a cfPNG TClipboardFormat identifier (this is the same as cfBitmap on OS X). Fixed a bad assumption about bitmap pitches on Windows that was causing issues for some people. Switched to using CF_DIBV5 internally when reading or writing bitmaps on Windows. When assigning to a bitmap, cfPNG is now looked for first (this makes things works better with MS Word), and correspondingly, HasFormat(cfBitmap) now also checks for cfPNG as a special case. On Windows again, when a source bitmap includes transparency, the outputted DIB has this transparency removed, however at the same time a PNG representation is added that maintains the original alpha channel. For greater flexibility (e.g. when there is only PDF data on the clipboard), the Mac implementation may now use NSImage as an intermediary when assigning to a TBitmap. (*) Update (17/9/13): as the code actually worked for iOS too, I’ve renamed the class to TApplePreferencesIniFile and its unit to CCR.PrefsIniFile.Apple.pas; the CreateUserPreferencesIniFile helper function has also now moved to CCR.PrefsIniFile.pas. For XE5, I’ve also written a TAndroidPreferencesIniFile class – see here. Add a TRectangle to the form. Change Fill.Color to whatever you want. Annoyingly, and dating from the infamous XE2 update 4, TRectangle is made to pretend it can’t parent other controls at designtime. As such, when a TRectangle is selected and you double click on a control type in the Tool Palette, the new control is added parented to the rectangle’s parent, not the rectangle itself. However, you can use the Structure pane top left to reparent controls as you wish. As an aside, this highlights a key difference between FMX and the VCL: in FMX, all controls can potentially be parents to any other. Once you grasp this point, obsessing over wanting to use a TPanel specifically, even though you don’t want the normal TPanel ‘look’, is completely illogical. Now this looks interesting – TMS have just released iCL, a native iOS control toolkit for Delphi XE4 (link). Given I’ve only just seen the news I don’t have much more to say, however it definitely looks like a product to check out if you’re interested in writing iOS apps using Delphi. Arnaud Bouchez of Synopse open source fame (mORmot etc.) has written an interesting piece on the ‘nextgen’ compiler that debuted with XE4’s iOS support – check it out.